Are we living in the last days? Is Jesus Christ really coming soon? Are there signs that confirm His soon return? 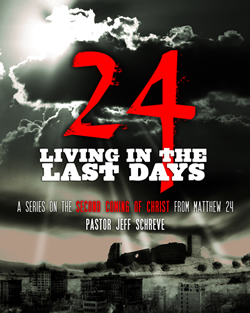 In this powerful seven-message series, Pastor Jeff Schreve shares what Jesus Himself said about His coming again to the earth. This 7-MESSAGE series is sure to help you live with excitement, expectation and readiness as you realize that the return of the King is near!